The hard-hitting court martial attorneys at Gonzalez & Waddington have earned a reputation for defending sailors at Navy bases such as Naval Station Rota. If you are stationed at Naval Station Rota and are accused of a military crime, then hiring the most aggressive military defense lawyer can be the difference between losing your case versus winning your case or redeeming your career. 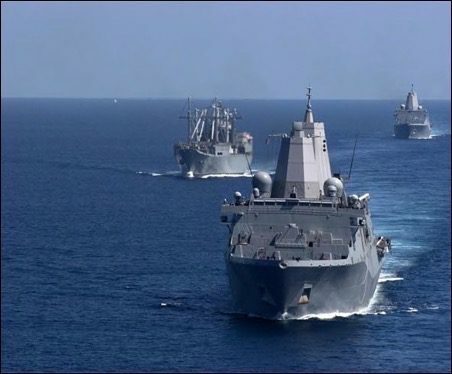 Our military criminal defense lawyers represent Naval Station Rota sailors in both UCMJ and administrative matters to include representing Navy sailors accused of sexual assault, drug use, and other offenses under military law. Unlike most civilian criminal defense attorneys or your free Navy counsel, pleading guilty is not something we commonly do. Our Firm compel the Navy to prove their case beyond a reasonable doubt. We take nearly every case to trial and fight the allegations in front of a military panel. It doesn’t matter if you’ve been based at the Naval Station Rota, Spain for years or you’ve just recently been stationed there, when facing a military criminal charge you want to be sure you have the best representation possible. What this means is that it’s time to contact Michael Waddington of Gonzalez & Waddington to step in and take full control of the situation. Mr. Waddington has taken on some of the highest profile military cases out there and walked away with a very impressive winning track record. Don’t let your location influence the legal representation you get, as you can expect the same type of service you’d get in your home country. This naval base is funded by the U.S. yet a Spanish Rear Admiral commands it. As far as U.S. military bases goes, this is the largest one in Spain. It is situated in the country’s Province of Cádiz in the town of Rota and spans over 6,000 acres. Its location was chosen because it is halfway between Southwest Asia and the United States. The base features a seaport and an airfield. At the base are US Marine Corps, US Navy, US Air Force, and US Army. It acts as the key point for flights bound for Europe through Air Mobility Command. Historically this base has been operational since 1953. During the 1980s the base reached its largest point when there were 16,000 military personnel along with their families stationed there. Once the Cold War ended and during the 1990s the amount of people stationed at the base decreased by quite a bit. The presence of the base has also caused protests over the years. Some residents like having it there as it adds money to the local economy and offers job opportunities, while others don’t like the U.S. presence. While certainly far from one of the largest U.S. bases this one does still play an important role in the U.S. military. Last year it was announced that two US destroyers will now be based at Rota on a permanent basis under the Missile Defense System. These two destroyers are the USS Donald Cook and the USS Ross. Today there are only about 4,000 military personnel, family members, and civilians based there, obviously much less than during the 1980s and 90s. As well there are four Aegis warships based at Rota. These fall into the European Phased Adaptive Approach initiative. An interesting fact about Naval Station Rota is that it is home to an air radar system that is state-of-the-art. The Standard Terminal Automation Replacement System (STARS) is the very first air radar system to be used by the Defense Department overseas. This system replaces the need for the analog system, that is severely is out-of-date. By hiring on Mr. Waddington you can rest assured that you will be well prepared and well looked after. In fact, Mr. Waddington has a team of lawyers at his disposal to ensure that your case goes smoothly and has the best outcome possible. Besides his impressive track record as a military criminal defense attorney, and a bestselling author, he also served in the US Army and worked his way up to an officer. Our US Navy court martial results speak for themselves. The suspected sailor and his or her future is our principal concern. Our defense attorneys keep lighter caseloads than the typical appointed Navy military attorney so that we can focus on every client separately. Your case will not be outsourced to a random attorney and we will not force you into a guilty plea at the eleventh hour. Our military lawyers have successfully fought US Navy court martial and administrative separation cases in the United States and around the world. Our firm’s founding attorney, Michael Waddington, graduated from Temple University School of Law in Philadelphia, PA and is a current member of the American Board of Criminal Lawyers. The ABCL is known as one of the most esteemed legal organizations comprised of some of the most experienced defense lawyers in the world. Membership is by invitation only and is limited to highly experienced criminal defense attorneys. Military personnel working at Naval Station Rota merit the best military lawyers available to represent them at their court martial or administrative separation (ADSEP) board. If you or a family member are stationed at Naval Station Rota and are suspected of a military crime such as sexual assault or if you are facing an administrative separation, NJP/Captain’s Mast, or a reprimand, then contact our military defense lawyers today.